His exuberant brush captured extraordinary realism. 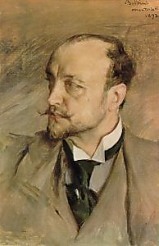 iovanni Boldini (1842-1931) occupies a unique and glamorous position in the history of portraiture. Extraordinarily successful as a painter of European high society, his dazzling bravura style, combined with brilliant precision, has made him one of the most admired and studied artists of all time. In fact, he occupies a position in that fabled "triumvirate of titans" at the very pinnacle of portrait painting in the golden era at the close of the nineteenth century and the beginning of the twentieth. The names of John Singer Sargent, Boldini and Sorolla (the great Spanish master) are invariably linked when artists discuss this period. While this remarkable trio shared numerous characteristics, Boldini's work was distinguished by his slashing, rapier-like brushstrokes. Boldini was, like the other two, a consummate draftsman as well as a master painter of carefully observed tonal values. But these qualities were often overpowered by the explosive brush attack. This arresting self portrait showcases all of the Boldini hallmarks: an athletic and animated pose is captured with slashing, even explosive, brushstrokes. The figure and the chair emerge from the shifting tonalities of the background and partake of it. The exquisitely drawn hands are each rendered with a few swift strokes. The head is a marvel of breathtaking realism, animated, expressive and alive. Click here to see a closeup of the head in this self portrait. Sargent and Boldini became friends in Paris in 1880 (Sargent was 24 and Boldini 38), and remained close throughout their lives. When Sargent left Paris for London in 1885, he turned over to Boldini his studio at 41, Boulevard Berthier. Later, at the encouragement of Sargent, Boldini made repeated professional trips to London, often painting clients and sitters of Sargent. For years I have owned a slender volume which I purchased in Italy, entitled L 'Opera Completa di Boldini (The Complete Works of Boldini), published by Rizzoli Editore Milano. In addition to a number of large color plates, the book features a small black-and-white thumbnail of every painting by Boldini. These small monochrome reproductions have been enormously helpful to me over the years, suggesting solutions to portrait problems and inspiring me to "stay loose,"
The Metropolitan Museum in New York owns a Boldini masterpiece, his portrait of Consuelo Vanderbilt, the Duchess of Marlborough, and her son. Inexplicably, this great painting is never exhibited. The painting is, however, available for viewing by appointment. Born in Ferrara, Italy on 31st December 1842, Giovanni Boldini received his initial training from his father, a painter and restorer. A precocious talent, Boldini attended the Accademia di Belle Arti (Academy of Fine Arts) in Florence in 1862. There he met the circle of Tuscan realist painters known as the Macchiaioli. 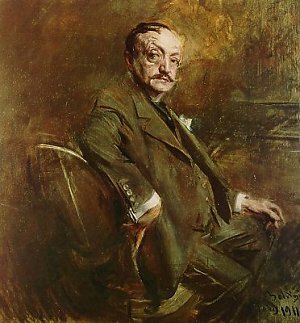 They were a considerable influence on Boldini and introduced him to painting from nature, contemporaneous with the Barbizon painters of France. During a visit to Paris for the Exposition Universelle in 1867, Boldini was greatly influenced by the paintings of Courbet, Manet and Degas, artists with whom he later established lifelong friendships. While in Paris, Boldini was captivated by what he considered to be the cultural capital of Europe and moved there permanently in October 1871, settling in the Place Pigalle. During this period he painted a series of small-scale works of eighteenth-century and Empire scenes, commissioned by Adolphe Goupil and other Parisian dealers, but also concentrated on scenes of Parisian life and pictures of elegantly dressed women, many of which were also sold by Goupil. Boldini was accepted as one of the foremost portrait painters of the Belle Epoque in Paris during the 1890s. His unique style set him apart from his contemporaries. Though he remained essentially Paris-based, Boldini occasionally made painting trips to London. Boldini died in Paris on January 12, 1931.